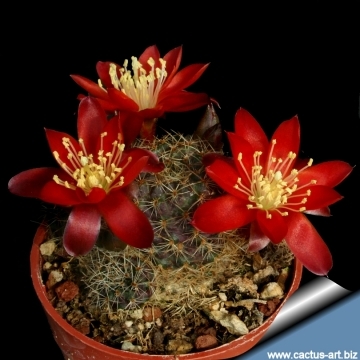 Popular plant with dense brown spines, clustering to form groups and producing numerous deep scarlet flowers. Origin and Habitat: Bolivia, Tarija. Altitude: 1000-2700 metres above sea level. Habitat: Grassy / rocky slopes. 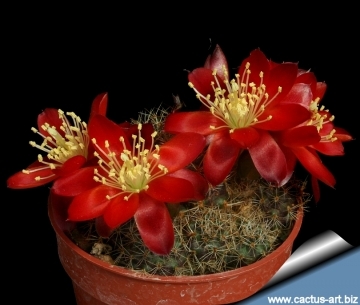 Description: Clumping cactus forms extensive colonies up to 15 (or more) cm in diameter. Stems: Rounded 3 or more cm in diameter, dark green with bronze hue, in cultivation it can grow up to 10 cm tall. Areoles: Almost round, with short yellowish indumentum. Central spines: Straight 1-3 , sometimes 4, directed upward, thicker and are bigger than radial, dark brown throughout the entire length, up to 12 mm (or more) long. Radial spines: 10 to 15 of different length up to 5 mm, white with brown apex, needle-shaped. 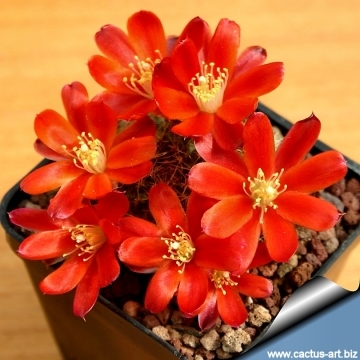 Flowers: Approximately 4 cm long, 3,5 cm in diameter, fiery-orange-red to deep scarlet, the pistil and stamens are white. 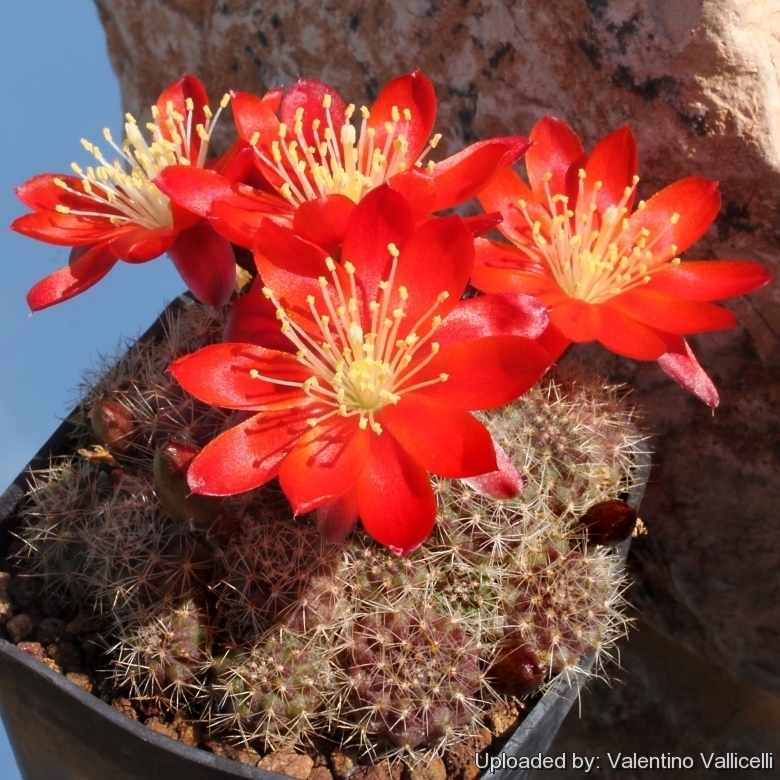 Cultivation and Propagation: Rebutia kupperiana is a summer grower species that is easy to cultivate.